As pressures on water resources have increased, problems of water quality have claimed high priority in national concern and governmental policy. 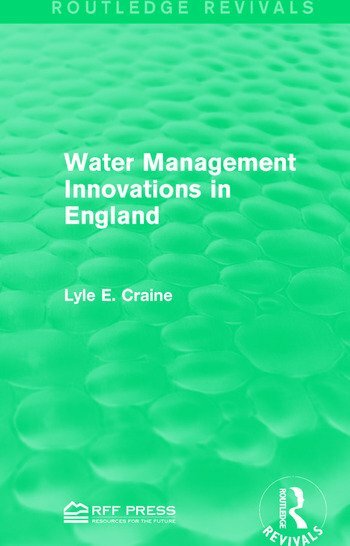 In this book, first published in 1969, Lyle E. Craine describes how Great Britain enacted new governmental procedures for studying, planning, and executing water management programmes. Although the physical and social characteristics of the United States’ water resources problems differ from those of England, this analysis of the British institutional arrangements for water management suggests constructive insights for managing water resources within the individual states. This title is a valuable resource for students interested in environment and sustainability issues, national water resources problems, and government policy making.